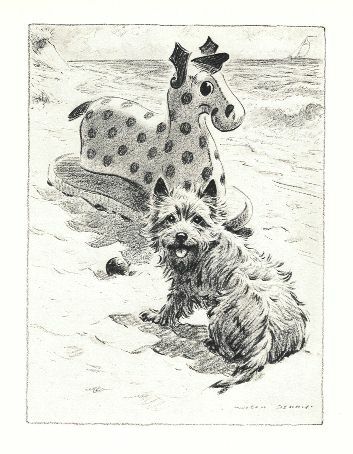 This image comes from a series of notecards published in the U.K., of sketches and thoughts written and illustrated by Lucy Dawson. This "New" illustration is printed on heavy card stock, measures approximately 4" x 6", and has been Custom Matted in a black "acid free" mat, ready for your 8" x 10" frame. This lovely authorized reproduction is from a series of pictures originally published in a Berlin Newspaper in the 1960's. The print measures approximately 4" x 6" and has been custom matted in black, ready for your 8" x 10" frame. 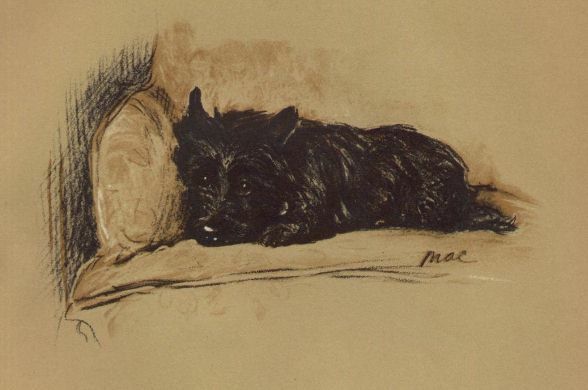 This wonderful illustration comes from the famed dog artist Morgan Dennis. This New item measures approximately 5" x 5", is printed on heavy card-stock, and has been professionally matted in a black, acid free mat. The finished size is 8" x 10", and it is ready for framing. 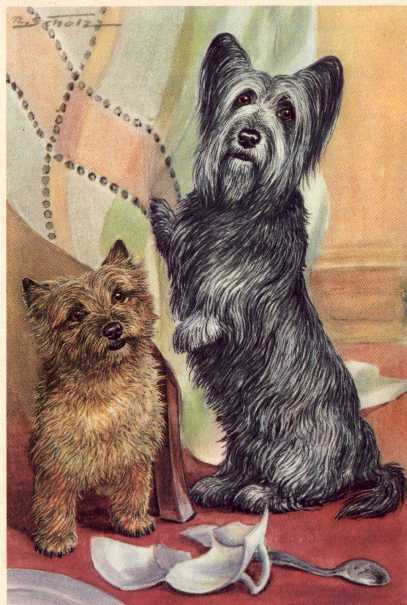 This wonderful illustration comes from the famed dog artist Morgan Dennis. This New item measures approximately 7" x 10", is printed on heavy card-stock, and has been professionally matted in a black, acid free mat. The finished size is 10" x 13", and it is ready for framing. This beautiful sketch is an Original page from a lovely book by S.M. 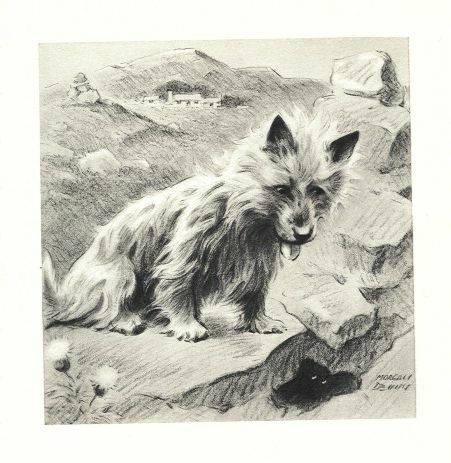 Lampson on Dogs, published in 1963 and illustrated by the noted artist Bridget Olerenshaw. 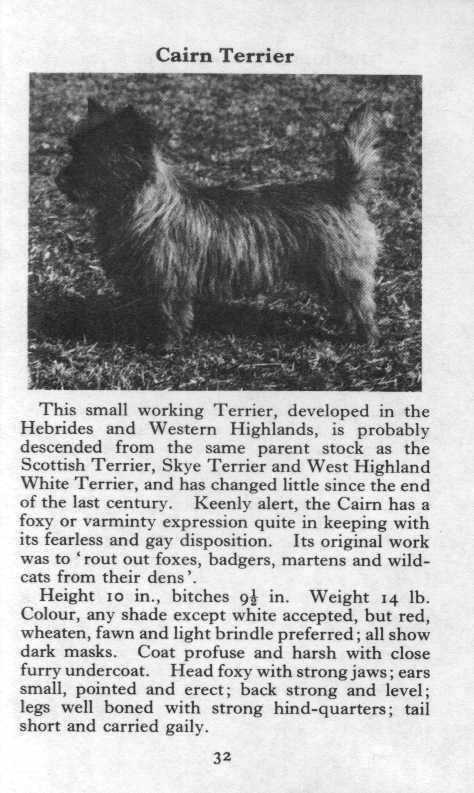 Along with the lovely artwork it contains a detailed description of the breed. The item measures approximately 7" x 10" and has been custom matted in a black, acid free mat, ready for your 10" x 13" frame. 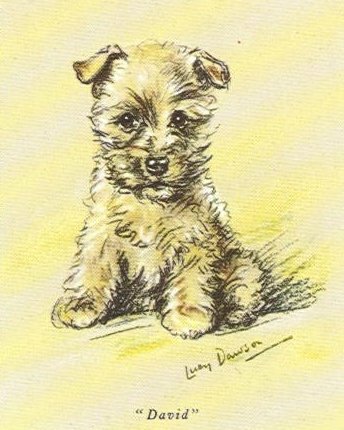 This beautiful Matted Illustration is by the renowned artist Lucy Dawson. This New item was published in England, measures approximately 2 1/2" x 3", and has been custom matted in a black acid free mat ready for your 5" x 7" frame. 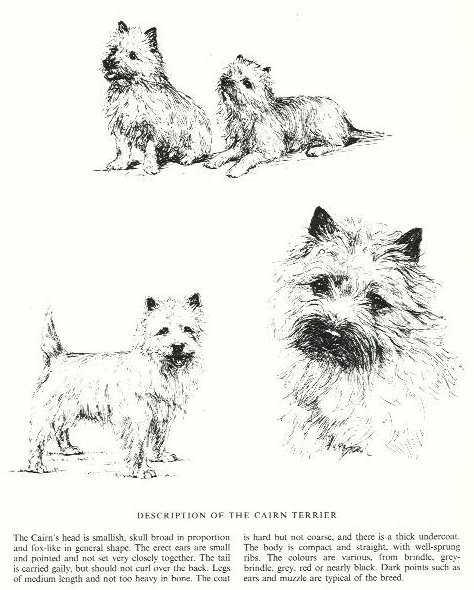 This Original page comes from a 1954 book, written and illustrated by Morgan Dennis, of pedigreed dogs recognized by the AKC at the time. 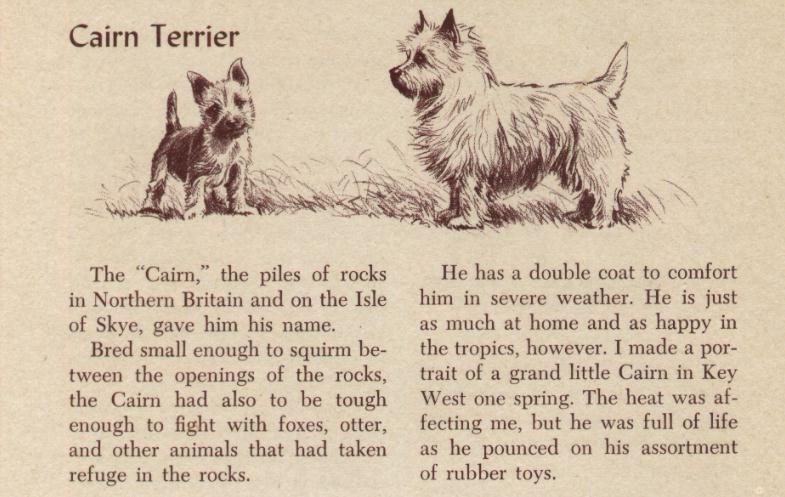 This page includes some of the breed lore, and illustrations of both a puppy and adult of the breed. The page measures approximately 4" x 6" and has been custom matted in black, ready for your 8" x 10" frame. 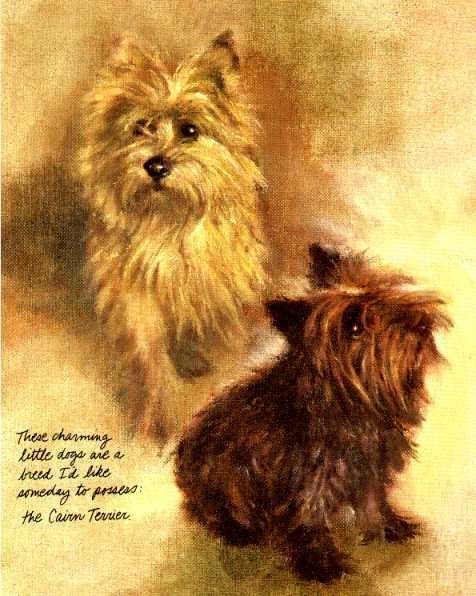 Click above to view a selection of Cairn Terrier Posters from our affiliate partners at Art.com. These "NEW" items are printed on archival quality paper, and can be matted and framed for your enjoyment.